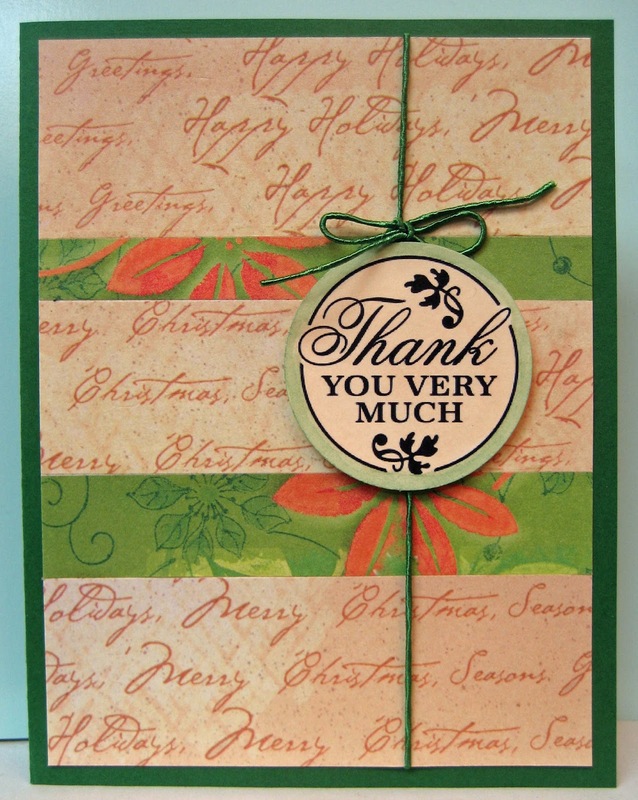 Another thank you card for the Christmas season. Once in my little stash of Christmas paper I found a few more scraps that worked. I chose three script and two small green strips for this card. I glued them to a white piece of cardstock and added a length of shimmery green fiber. I watercoloured the round greeting punchie and mounted it over the fiber using 3D foam tape. 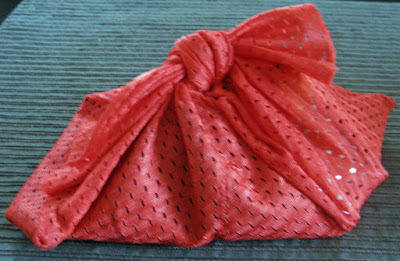 I tied a bow using a length of the same fiber over the greeting to finish off my card. 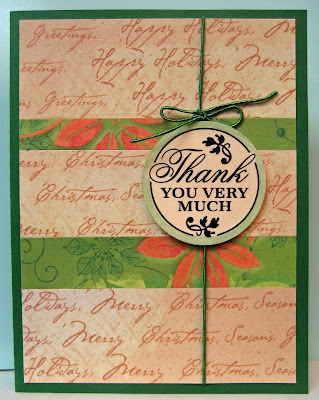 It is nice to have a few extra greetings around to make quick work of these cards.